A home security system with personal emergency response from ADT has the ability to provide monitored fire protection and carbon monoxide detection. Instead of just having a home security system that protects from burglary only, enhance your system with personal emergency devices. A one time investment into additional emergency response equipment will give you additional protection for your home and family without raising the cost of your monthly monitoring rate. Let’s take a look at the different personal emergency response equipment and the benefits they will provide you. I believe that everyone who has a monitored security system should without hesitation have a minimum of one Monitored Smoke/Heat Detector installed. This device may save your home and the lives of family and pets. Even if you have smoke detectors throughout your home, if they are not monitored they will only sound locally. They provide little or no protection from fire when no one is home. On the other hand, monitored smoke/heat detectors provide protection when you’re home and away by sending a signal to the ADT Central Station Network allowing the ADT Operator to notify your local Fire Department. Monitored fire protection saves valuable time by notifying the ADT Central Station immediately when a fire is detected. In a fire emergency, whether you are home or away, help is on the way. A fire can double in size every 18 seconds, so a quick response in fire emergencies is so vitally important. Saving time….saves lives!!! Another benefit of monitored fire protection is a discount on your annual homeowner’s insurance. The discount varies depending upon each policy but typically monitored fire protection will save you about 5% or so on your annual home owner’s insurance. When added to the typical 5% discount for a monitored security system your total discount on your annual homeowner’s insurance with an ADT Security System with fire monitoring is around 10%. Insurance companies give you this discount because it saves them money by dramatically reducing the cost of claims from the destruction of fire. Also, within a few years you will usually recoup the cost of upgrading your security to fire because of the discount on your annual homeowner’s insurance. How many monitored smoke/heat detectors should you have installed in your home? 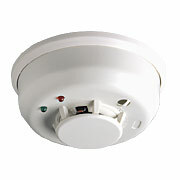 Due to the cost most people can not afford to add monitored smoke detectors in every bedroom throughout the entire home. If you have a single story home with a hallway leading to the all the bedrooms you should have at least one monitored smoke/heat detector installed in the hallway. If you have a master bedroom on one side of the house away from the secondary bedrooms you should install a second monitored smoke/heat detector between the master bedroom and the living area of your home. With a two story, three story or a home with a basement at least one monitored smoke/heat detector on each level. The next level of fire protection is to add monitored heat only sensors in the kitchen and the garage where most home fires start. If your budget can handle it, some customers put monitored smoke/heat detectors in every bedroom as well. 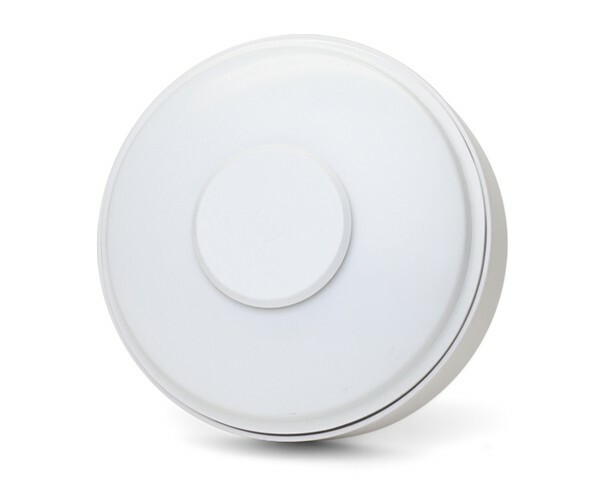 No matter what level is affordable to you, adding a least one monitored smoke/heat detector to you home is a great idea and certainly something you will not regret. This sensor is normally installed in kitchens and garages where lots of fires start. In these areas you probably do not want to install a smoke detector because smoke from burnt toast or car exhaust could potentially cause false alarms. Heat detectors detect the ride of heat that happens when a true fire starts. Honeywell's 5809 Series wireless fixed heat and rate-of-rise temperature sensors offer expanded fire detection and installation flexibility. 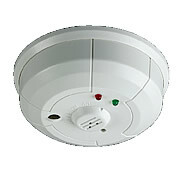 They are ideal for hard-to-wire locations and applications that require more than smoke detection. This is a fast and easy install with no wires to run. The 5809 Series combines both rate-of-rise and fixed temperature sensors. Fires typically cause a rapid rise in temperature in the surrounding area. The 5809’s rate-of-rise thermostat senses the rise in temperature and signals an alarm if the increase is 15° or more per minute. With a built-in fixed temperature sensor, it will also signal an alarm if the environmental temperature rises above 135°F. The 5809 is UL Listed (UL 521) and CSFM approved for commercial and residential applications. Carbon monoxide is an odorless, tasteless, and colorless gas produced by burning material containing carbon. Carbon monoxide poisoning can cause brain damage and death. Because you can’t see it, smell it, or taste it, this poisonous gas is known as the “Silent Killer”. In fact, carbon monoxide is the leading cause of accidental poisoning deaths in the United States. Sources of carbon monoxide include many common household appliances. Some of the sources include faulty furnaces, gas water heaters, internal combustion vehicle exhaust, kerosene space heaters, charcoal grills, gasoline powered tools, propane heaters and stoves, gasoline and diesel powered generators, cigarette smoke, propane-fueled forklifts, gasoline powered concrete saws, spray paint, solvents, degreasers, and paint removers. Early symptoms of carbon monoxide poisoning such as headaches, nausea and fatigue are often mistaken for symptoms of being sick or having the flu. By not detecting carbon monoxide poisoning prolonged exposure can lead to significant toxicity of the central nervous system, heart and can lead to death. With a monitored carbon monoxide detector from ADT, you will receive protection with early detection of carbon monoxide poisoning. Your ADT home security system will sound and send a signal to the ADT Central Station that there is a dangerous level of carbon monoxide poisoning. Protect your family from this dangerous poison and make sure to have a carbon monoxide detector installed in your home. 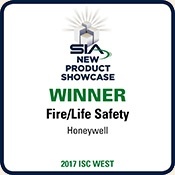 Honeywell's 5800COMBO is the industry's first professionally monitored, wireless, combination Smoke and Carbon Monoxide (CO) detector designed to help protect people and property. Using four sensing elements, the 5800COMBO provides true multi-threat detection and reacts fast to real danger—while helping to reduce false alarms. A photo-electric chamber senses airborne smoke particulates while an electro-chemical sensor monitors the CO bi-product produced by slow smoldering fires. The Honeywell detector also features infrared (IR) flame sensing that measures ambient light levels and flame signatures, while thermal detection monitors temperature. Sophisticated and trusted algorithms interpret and respond to multiple inputs and provide the false alarm immunity expected in the most critical applications. Automatic drift compensation of Smoke and CO sensors accommodates for dust build-up over time. Additionally, the reliable electro-chemical sensor has a 10-year lifespan. Audible annunciation is provided by a built-in 85 dB piezo sounder with a one-inch voice speaker that supports multi-language alarm feedback. A prominent, 360° viewable LED shows visual alerts. A smoke alarm condition illuminates red, a CO alarm condition illuminates blue, and a tri-color status LED intuitively indicates the operating mode. AWARD CATEGORY: Solutions designed primarily for fire prevention, detection and notification. This includes fire controllers, smoke/heat detectors, sirens / annunciators, keypads, pull stations, sprinkler systems and voice evacuation systems. Operates via hard-wire or wireless protocols. Enhancing your ADT Security System with personal emergency response devices create multiple levels of protection in your home. Many of these devices combined with ADT monitoring service could potentially saves the lives of your family and pets. Once you have decided to invest in the monthly monitoring service for your home alarm system it makes sense to initially invest a bit more to equip your home with protection in fire and carbon monoxide emergency protection. Your monthly monitoring cost stays the same regardless of whether you install a security system only or if you’ve added monitored smoke/heat detectors or carbon monoxide detectors. If it’s affordable for you to add these upgrades, it’s a one time investment that will protect your home and family for many years to come. To order a new ADT Security System with personal emergency response upgrades or to schedule a free security review of your home call 1-800-310-9490. Here's what monitoring really does... Saves Lives!